Take a guess... After Wedding Band, what’s the second most popular live band category on GigMasters? It’s Mariachi Band! This underrated genre gets roughly 10,000 requests a year through our site. Whether it's a novelty party idea, a Cinco de Mayo celebration, or a traditional family event -- it's hard not to love the festive sounds of Mexican folk music. We already knew there was Something About Mary, but what about Mari...achi?! This is based on a report taken on overall gig requests in the past 3 years. Please note: There are other ways GigMasters determines top categories (such as booking percentage of members get per category) that should also be considered. 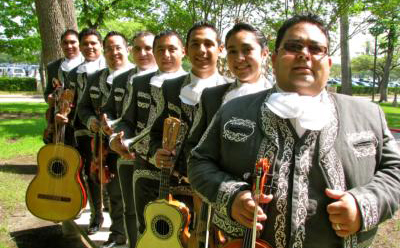 We have many talented Mariachi groups on the site, but considering their popularity, we're just scratching the surface! Currently, we have about 100 members who have Mariachi Band set as their primary category. So, if you do the math across the country, the supply is way less than the demand. Remember the dancing Beluga whale video that went viral a couple of years ago? That was Mariachi Connecticut, who’s been with GigMasters since 2007. Their hit YouTube video is now nearing 3 million views!